Members of the Tech community packed into the Student Center Theater last Friday to voice concerns about police violence, mental health and the importance of community. Panels comprised of faculty members and outside community activists led the discussions in hopes of starting a campus-wide dialogue about changes that need to be made. 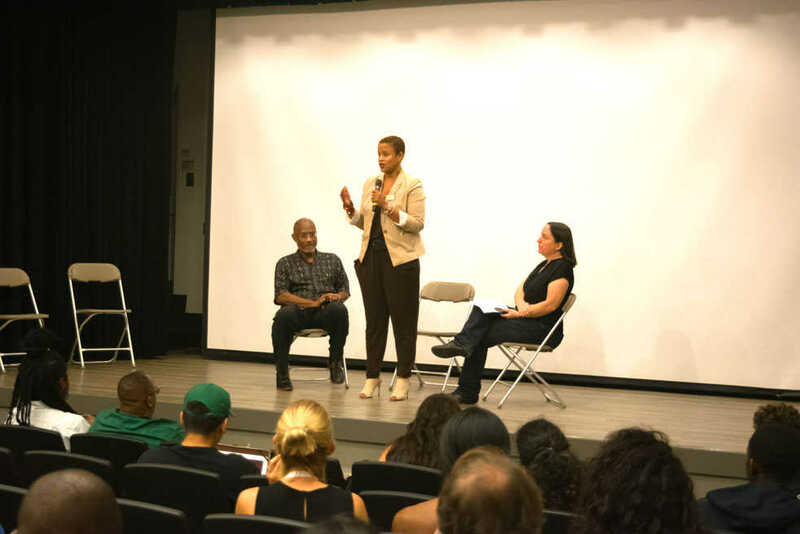 The idea for the forum, a type of event typically called a teach-in, stemmed from a conversation between Tech’s own Dr. Anne Pollock and Dr. Sherie Randolph about student response to the fatal shooting of a student by a GTPD officer last week. The teach-in took place just six days after the incident and four days after a controversial protest culminated in chaos on the streets of Tech’s campus. Though the main provocateurs of Monday’s violence were unaffiliated with the Institute, the circumstances of Scout Schultz’s death left a large portion of campus angry, emotional and confused. Pollock and Randolph feared that lack of action by the faculty could potentially fuel discontent on the part of the students. The event was faculty-led, but the organizers left plenty of time between panels for the students in attendance to ask questions and voice their concerns. Several times throughout the afternoon, students stood to deliver impassioned accounts of their experiences at Tech and the ways that administration have failed to meet their needs. Divided opinions on GTPD may be keeping students from healing, but the entire incident reopened one of Tech’s most glaring and persistent wounds: mental health problems on campus. With mental health now at the forefront of campus conversation, entities of all kinds are coming together to put time and resources into improving the situation of everyone on campus. Thanks to events like last Friday’s teach-in, the Tech community is one step closer to finally recognizing and addressing the underlying issues facing both minority students and the student body as a whole.